← Brazilian Bonds: Hot or Not? 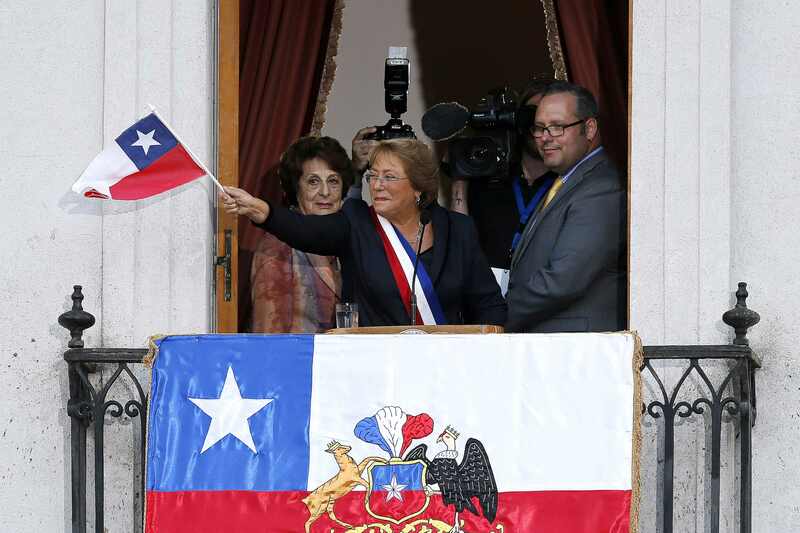 Earlier this month, Michelle Bachelet took over as president of Chile, for the second time. Inaugurated on March 11, she is coming off a trouncing electoral win buoyed by a majority in Congress. Things would appear to be going her way. Yet the combination of an extremely ambitious reform agenda, a potentially fractious coalition, and a volatile student movement means that, despite her personal popularity, Bachelet is walking a high-wire. And then there is the question of how the new administration may reorient Chile’s foreign policy – especially regarding one of her predecessor’s pet projects, the Pacific Alliance. Bachelet’s term is barely a month old – but her cabinet gives some clues to how her government may play out. As Chilean political scientist Kenneth Bunker points out, Bachelet’s choice of advisors has done two main things. First, it reflects the congressional balance of power to ensure buy-in from all of her coalition members. Second, she has put together an experienced, battle ready political team. Other goals, such as a gender-equality, had to fall by the wayside: her team is predominantly male. It is indeed a much more experienced group than Bachelet’s first attempt. While that government initially counted only two cabinet members with previous national political experience, the group announced in February contains three former ministers and another three former legislators. The most important portfolios are divided between the major parties of the New Majority coalition, with the Partido por la Democracia (PPD), the Socialists (PS) and the centrist Christian Democrats (DC) all represented according to their strength in Congress. That is not to say the haggling process has been smooth. In fact, some of the likely future fissures of the government have begun to appear. There is a wide ideological gulf, in particular, between the Christian Democrats and the Communists, the latter of which won seats in Congress on the strength of the student movement and gained an unprecedented spot in the Cabinet for their trouble (with Claudia Pascal, who will head the National Women’s Service). The DC is already wary of being marginalized in the leftist coalition, and held out from approving the Cabinet until further negotiations gave them control of Defense. Tension in the coalition is simply the price Bachelet must pay for her broad congressional majority. As she moves to tackle her “50 proposals for the first 100 days”, she runs the risk of dissent in her ranks, especially if the more radical factions of the student movement feel the government is dragging its feet. 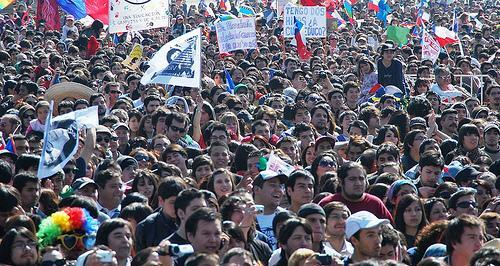 Just how much patience will student protesters have with Bachelet? Much has been promised – and quickly. The three blockbusters are tax reform, education reform, and reform of the Pinochet-era constitution. The reforms, each difficult on their own, are also linked policy-wise: Bachelet has argued that her planned US$15 billion in social spending – including free university tuition for all – will be largely paid for by raising the corporate tax rate and closing loopholes. 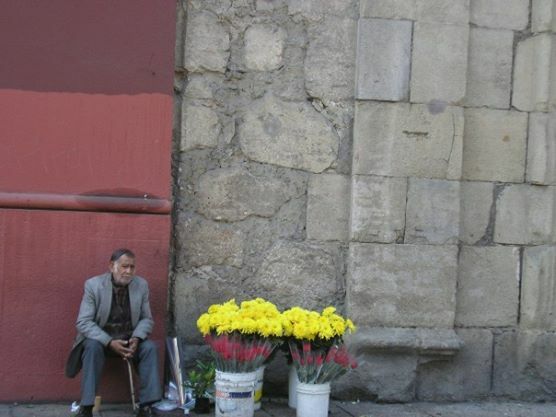 At the same time, the changes most important for avoiding another disruptive eruption of street demonstrations – education and constitutional reform – will be the most difficult to pull off. Due to supermajority requirements, constitutional reform will require two-thirds support of both the upper and lower houses, meaning Bachelet will have to bring some of Chile’s right wing opposition onboard. Education, while slightly easier, will still require a supermajority of three fifths in both houses—again, more votes than she has. Meanwhile, there is Bachelet’s rather undefined second term foreign policy vision. Some have wondered if Bachelet will swing Chile into closer alignment with Venezuela and Argentina at the very moment their economic models, such as they are, seem increasingly unmanageable. The fate of the Pacific Alliance bloc launched under Piñera is an area of particular concern. Consisting of Chile, Peru, Colombia, and Mexico, these “Pacific Pumas” already draw more FDI than MERCOSUR ($84.3 billion versus $83 billion in 2013), and together make up the world’s eighth largest economy. Belonging to such a group could hardly reduce Chile’s presence in the region; much to the contrary. 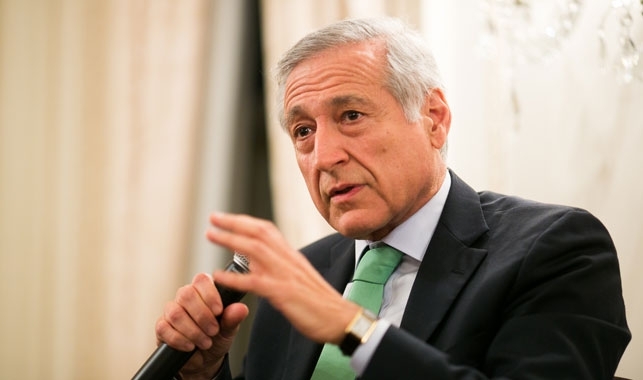 So when new Foreign Minister Heraldo Muñoz took to the pages of El Pais to suggest that the Pacific Alliance could eventually merge with the much more protectionist MERCOSUR, there were immediately fears that Chile could dilute everything that has made the Alliance so effective—open trade, improved investment frameworks, and integrated stock exchanges. This could happen. But given the well-developed consensus within Chile regarding the need to expand trade and increase and diversify investment, it seems more likely that Bachelet’s camaraderie with the populist left in Latin America is mostly rhetorical. Muñoz thinks MERCOSUR and the Pacific Alliance should unite. What could possibly go wrong? Similar fears shook Peru with the election of Ollanta Humala in 2011. And they turned out to be overblown, if not totally unfounded. If nothing else, the trouble taken by Humala and Bachelet to insist that the Alliance should not be an “exclusive, antagonistic ideological bloc” (in the words of Muñoz) is a smart way of outflanking those who would seek to box it into an unhelpful left vs. right dichotomy. And there is, after all, a big difference between a healthy desire to forge better relations with neighbors (Brazil in particular) and an all-out alignment with the ALBA bloc. Time will tell how Bachelet will seek to make her mark on foreign policy. Either way, for the time being she should have quite enough on her plate in the domestic arena. This entry was posted in Southern Cone and tagged Bachelet, Chile, constitutional reform, education, Mercosur, Pacific Pumas, tax reform, The Pacific Alliance. Bookmark the permalink.